Great set-up and potential for Mini/Gentleman&apos;s Farm! Gentle laying and unrestricted 14.74 acre parcel with peaceful country setting, yet convenient to both Lake Lure and Rutherfordton. 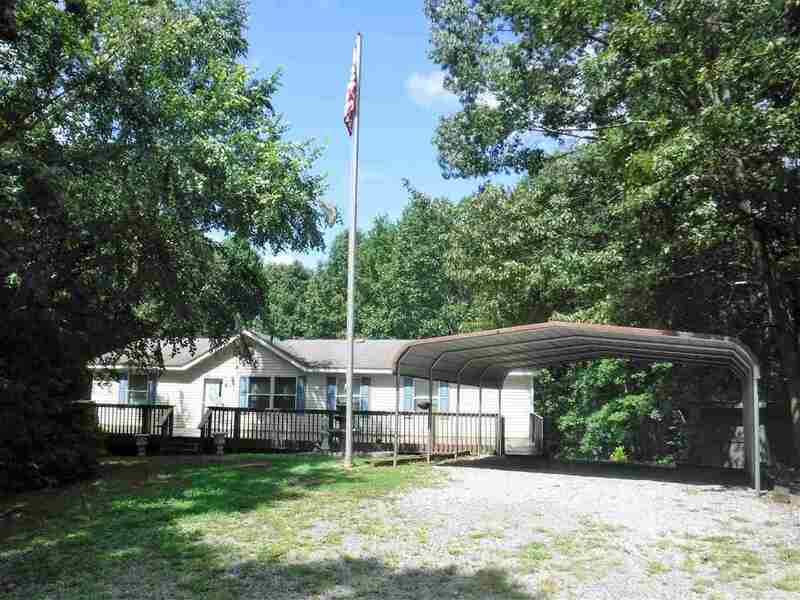 Approximately 3 acres of pasture with room for expansion. Long driveway leads back to the well maintained 2002 DWMH and large 2-story outbuilding/barn - both surrounded by trees and can not be seen from road, very private! 2-story outbuilding has elevator/lift and can easily be converted to barn with stalls - loads of possibilities. Home features include oversized 56x13 front deck, new Red Oak floors throughout, freshly painted and cleaned, kitchen with center island and dining area opens into family room with stone fireplace, good kitchen counter and cabinet space, laundry room off kitchen, and large 31x12 covered back deck. 2-car detached carport. Driveway splits with one going to the house and the other directly to the outbuilding/barn. Hard to find a good-size parcel that lays well and has good amenities, so this one is definitely worth your consideration. Call for additional details and photos.